Time:Doors 7.30pm. Music starts 8pm. 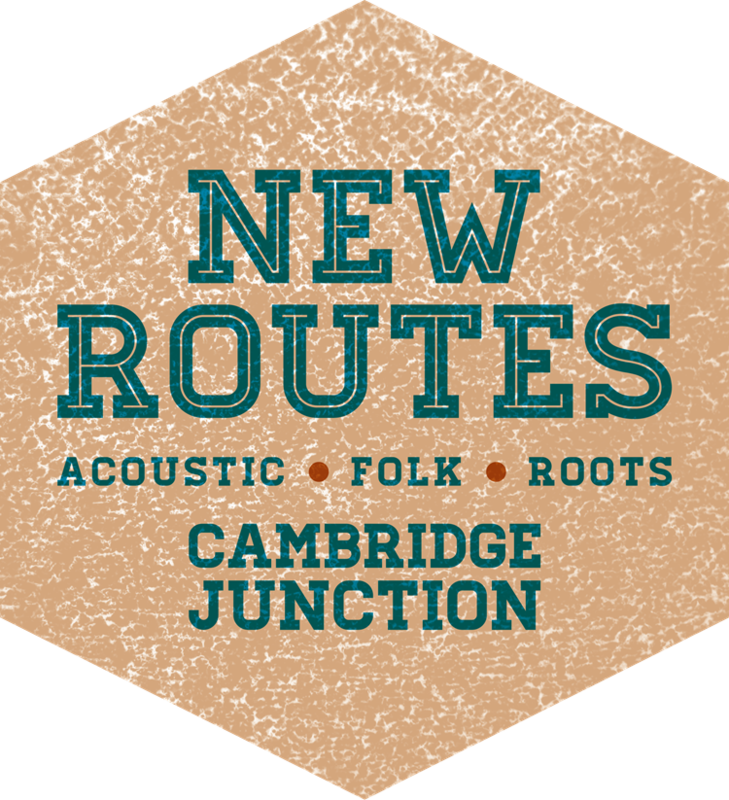 Another installment in the New Routes series, an evening of acoustic, folk and roots artists. Set out cabaret style with candles on tables, it’s a comfortable and intimate space to listen to the best emerging and established artists from the area. British folk and roots inspired duo Honey & the Bear combine powerful guitar riffs with delicately interweaving vocal harmonies, foot stomping rhythms and catchy melodies. The songs they perform tell intriguing tales of folklore from the Suffolk coast, alongside heartfelt compositions about lifes adventures, as well as the ups and downs of love and betrayal. The multi-instrumentalist pair, comprised of songwriters Jon Hart (guitar, bass, mandolin) and Lucy Sampson (guitar, ukulele, bass, banjo & percussion), have been writing together since early 2014, having met at a songwriting event in 2012. The amalgamation of both their unique musical styles makes for a dynamic and everchanging live performance. The duo travelled to Germany in 2016 for their first European tour and together they have played an array of UK music festivals including Cambridge Folk Festival, Ely Folk, FolkEast and Maverick Festival. In 2018 they embarked on their official UK tour supporting Sam Kelly & The Lost Boys. Katherine Priddy has recently re-emerged onto the scene with her long-awaited debut EP 'Wolf', which has already been well received by the BBC 2 Folk Show, BBC 6 Music and BBC Wales and has had some excellent reviews. The great Richard Thompson recently named it as his 'Best Thing I've Heard All Year' in MOJO Magazine whilst Folk Radio UK pronounced the release to be "something extraordinary indeed...one of the most beautiful voices I’ve ever heard. Her tone, phrasing pitch and sentiment...it’s flawless". At only 23, it seems hard to imagine that Priddy's haunting vocals and finger picking guitar style has already been captivating audiences around the UK for the past 7 years. Recent years have seen her reputation grow and grow on the back of successful performances supporting people like Martin Carthy, Scott Matthews, Trembling Bells and Vashti Bunyan as well as sell-out shows. Priddy’s original works are delivered with an emotional maturity, depth and a vulnerable tenderness that still carries a darker edge, citing Nick Drake, Tunng and Imagined Village amongst her many influences. It's clear that, despite the delicate nuances of her sound, Katherine Priddy is not a fragile wallflower destined to fade away, but a young woman who means business. If you would like to book a floor spot, please get in touch. Occasionally it will be possible to turn up and play, but to guarantee you have your space it is advisable to book. Please contact Clare if you are interested in playing or would like further information.